SEE XCEL, UNITED POWER, TRI-STATE & LONGMONT UTILITIES FOR OTHER REBATES! APPLY HERE FOR YOUR LENNOX HOME CLIMATE CREDIT CARD. Schlueter Heating is your source for sales, service and installation. We have been serving the Denver- Boulder area for over 25 years. We are a Lennox trained father / daughter operation. Our customers love our personal service. Please feel free to call Kerstin or Carl between the hours of 8:00 a.m. and 5:30p.m. 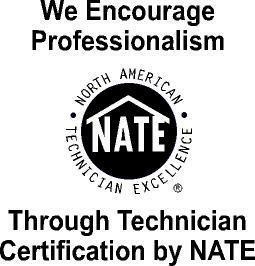 WE ARE "NATE" CERTIFIED!